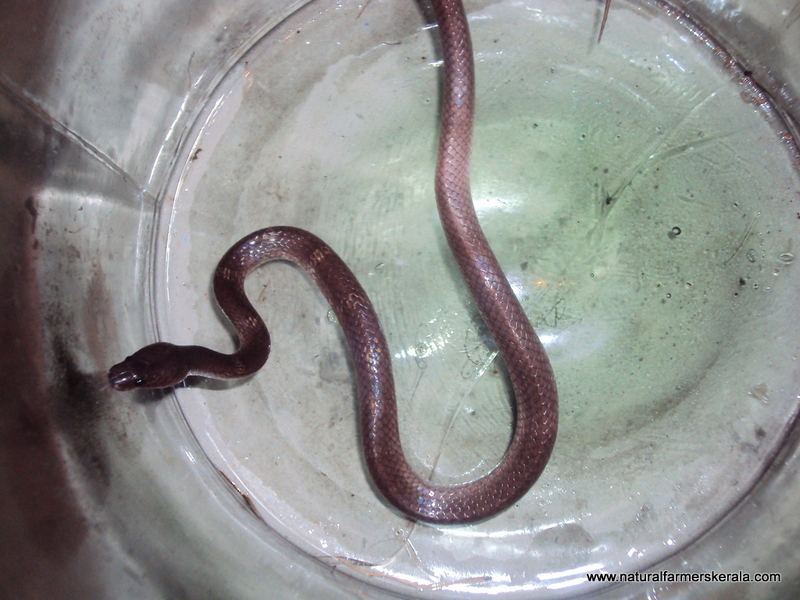 There is a lot of misunderstanding between Krait and Common Wolf snake in most part of India. I keep regularly encountering snakes. After I moved to Kerala, I have come across many types of snakes, some face to face. I have had even close encounter with cobra. I actually carried a baby cobra in a shopper bag for almost 2 hours unknowingly, it somehow got into my bag which was kept on the ground. The reason may be I spend most time outdoors, but mind you they also venture into my territory. Most of the snake I catch are from my house. After a few fake catches and lot of misunderstanding about Krait. 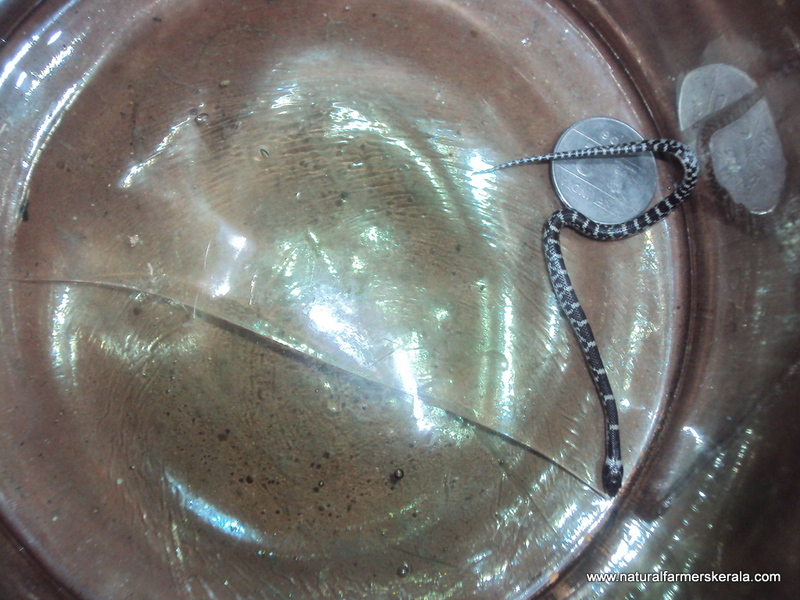 This time I could actually get hold of a Baby Krait from my bedroom. It is dark black in color with very visible white rings. Image on the right side is of common wolf snake with less prominent white rings. I released this snakes to a near by area.